Today’s show has something for pre-meds looking to prepare for the MCAT and for MBA wannabes interested in Harvard Business School. Alec is the co-founder of the online prep course M Prep. He graduated from the University of British Columbia in 2011 with a BS in BioTechnology and a minor in philosophy. After completing the first year of his MBA program at HBS, he decided to take a leave of absence to work on a start-up. It’s a full-service MCAT prep company. They started by offering an MCAT question of the day – to help students prepare on a daily basis (and avoid procrastination). And now they’ve grown that product into passage-based prep and a full prep course. They also offer other services/resources, such as a database of med school info, etc. They started developing resources a few years ago when AAMC released info on the new exam. Overall, the strategic goals of the new exam are the same as the old one, so there’s some overlap. But the new sociology/psychology section required substantial development, as did the biochem material. They’ve also upgraded their prep materials in response to the actual exam after it was released. Everyone knows what subjects will be tested – there are a lot of free resources for content review. So M Prep’s goal is to add value on the strategy side. But they also do a comprehensive content review. For the old exam, he advised 2-4 months prep time; now he advises 6 months, especially if applicants are full-time students. And it’s best to take as many pre-reqs as possible before the exam (especially soc/psych and biochem), to be ready for that material. Aim for the scores you need, not the scores you want – that is, know what it actually takes to get into med school. The new MCAT is a bit of a wildcard at the moment. Factors to consider when deciding whether to retake the exam: the combination of your MCAT and GPA (do you need a higher MCAT to offset a lower GPA?). 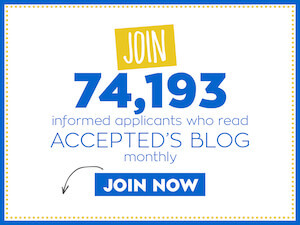 What schools are you applying to? Schools are adjusting to data from the revised exam, so it’s only natural for scores to be weighted a little less while they get used to the new exam. Launching a full set of practice exams for the new MCAT – the first three are coming soon, and more in a few months. They’re developing a lot of new content. Start early! It makes a big difference for test prep. 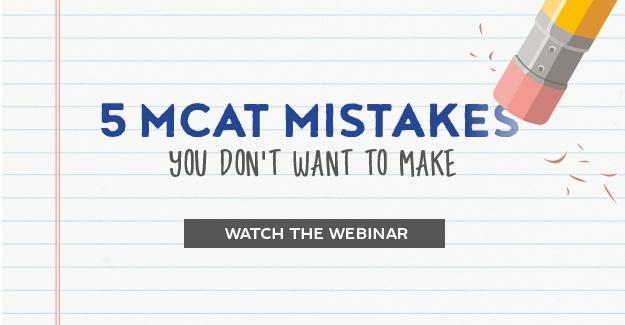 Let the MCAT be a rite of passage – see it as an important step, rather than something you just have to endure. Attitude matters. When you’re looking for help with test prep, consider the track record of the instructor in helping students prep for the exam. Look for someone who’s a good coach and teacher – not just someone who has a high MCAT score. He did the 1st year required curriculum – he loved the courses and especially loved the environment (studying with the talented people in his class). But he realized that a two-year program goes by fast, and he wanted to make more thoughtful, goal-directed choices about his time at HBS. So he opted to take a leave of absence (HBS allows up to 5 years). He sees a risk of losing relationships, but the potential to explore projects and consider his goals for when he goes back. He thinks it’s important to do some soul searching up front: the people who know exactly what they came for do get the most out of b-school. Having direction is important. Yes: he’s drawn on it when negotiating contracts, etc – but he’s also found that the skills he gained from the case method help him frame situations effectively and solve problems. It’s helpful to have direction and goals, even if you’re a career changer who will be using b-school to explore. People who know what they want to get out of b-school will be able to use their time more effectively. • Should I Retake the MCAT? • Learning by Osmosis: Premeds, Med Students Take It All In!